We name all our rooms because we don’t believe in numbering our guests. 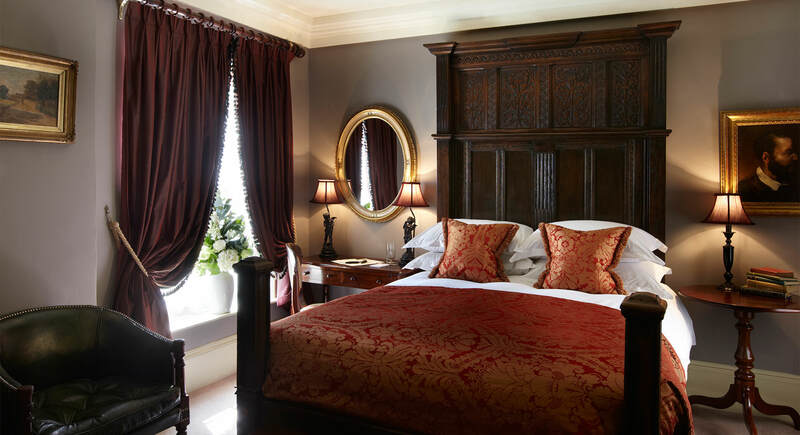 In all of our Club Double rooms you will find the bed is 17th Century carved oak or a Georgian four poster. Windows are hung with heavy silk curtains or shutters. The bathroom has restored Vintage fixtures and fittings, with either a free standing bath or shower. All rooms are air-conditioned and have complimentary Wi-Fi, flat screen television, mini bar, safe and REN toiletries. YES, WE’RE EGGING YOU ON! Easter is such a great time to enjoy London, we thought you might like to stretch your stay a little. Book direct for two nights to receive a 15% discount on your reservation. Book three or more, and it’s 25% off.